The company reports a 30 percent decline in the second quarter of 2011. Best Buy is doing pretty well in general. They've eliminated a lot of their competition and they're a household name when it comes to DVDs, Blu-rays, videogames, and electronics. Still, 2011 has been a bit of a rough one for them. 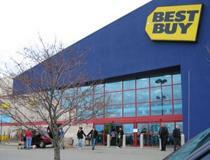 In the second quarter of 2011, Best Buy reports a massive 30 percent drop in profits. One of the main reasons, according to the company, is a lack of major phone releases. A new iPhone is always a big seller for Best Buy and the lack of a new release is a bit of a blow. The other issue is that of costs. Best Buy is up in terms of sales in most categories, but with 113 new Best Buy Mobile stores being put in place, the money going out was more significant than the money coming in.